THE PETER WILLIAMS HOUSE, wonderfully located 1/2 block to Centre Street, has stories to tell. 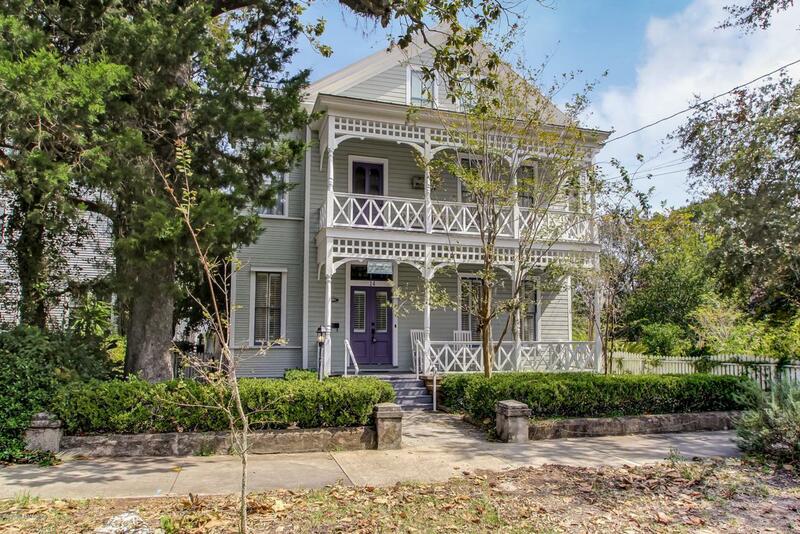 Heartthrob double decked porches welcome you inside to this historic property! ZONED C3 for residential, mixed or commercial usage, this home has been restored retaining the ORIGINAL HEART PINE flooring, staircases, banisters, baseboards & doors. Second floor has two bedrooms and 2 bathrooms and the 3rd floor has a sitting room & bedroom with its own full bath. Eat-in kitchen with stained glass window to period, heavy heart pine cabinetry and gas stove. Enjoy afternoon breezes by way of the screened-in porch and expansive brick courtyard, ideal for entertaining. This can be a historic home, business, or mixed property use with little or no modifications.Additional features: Off-street parking, metal roof, and fenced patio. Enjoy strolling to all local shops, market and restaurants and the beautiful sights and lifestyle downtown Fernandina thrives on! Schedule your tour today!